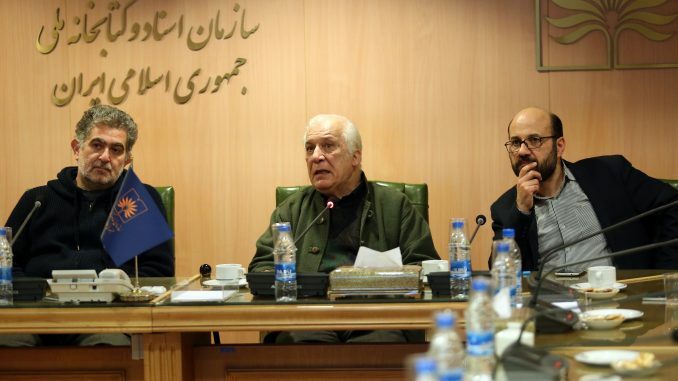 Alireza Dowlatshahi, Khosrow Sinaei, and Gholamreza Amirkhani. Some 40 Iranian librarians, film critics, and other subject specialists met at the National Library in Tehran December 22 to examine the historical connections between Iran and Poland, especially with regard to the little-known story of how Iran helped Polish refugees escape to the West after being deported from their homeland to slave labor camps in the Soviet Union. The program featured a screening of a documentary film by Iranian director Khosrow Sinaei titled Lost Requiem, the story of thousands of Poles who with the assistance of the Iranian people fled slave labor and starvation in the Soviet Union during World War II. The discussion of the film raised questions that Iranian librarians are trying to answer: What actually happened during World War II to Poles in Iran? What was their fate? How many of them stayed in Iran forever? Why couldn’t most of them return to Poland? A short video prepared by Polish American Librarians Association immediate past president Leonard Kniffel was screened and focused on author Wesley Adamczyk as a case in point. His highly acclaimed memoir, When God Looked the Other Way, tells the story of his family’s harrowing journey out of the Soviet Union and their escape through Iran.